I’m sure y’all change up your hair routine every once in awhile. I know I do. I get bored with doing it the same way for too long. 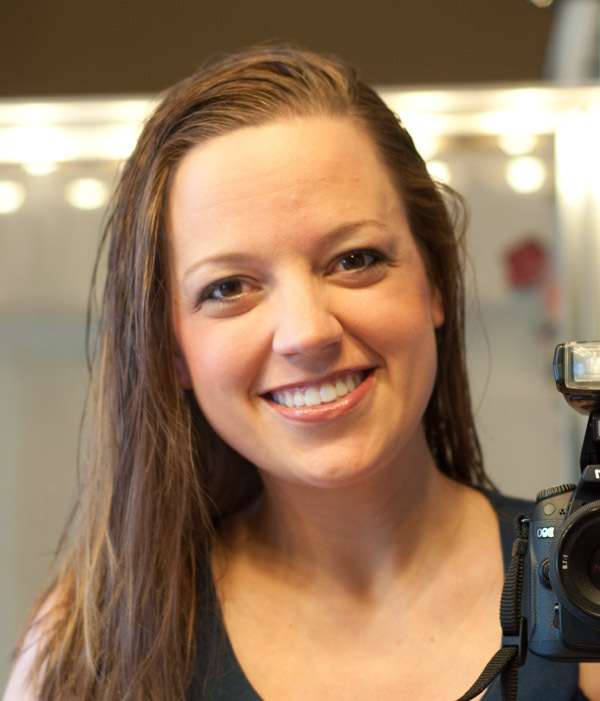 In the past few weeks, I’ve totally changed up the way I was doing it…and I’m really loving the changes! I used to just blow dry and style…and it got old. So, when the people at Misikko.com contacted me about teaming up for a review a few weeks ago, I was thrilled to accept. They specialize in professional-grade hair tools, including Hana products that seem to be so popular right now. They mentioned doing a review about one of their HANA Pro 1″ Flat Irons…so you can imagine how surprised I was to get ALL of this from them! What a sweet gift! It included a brush, makeup, manicure items, a cover and rubber pad for the flat iron, and the actual flat iron of course. I start with slightly damp hair, with leave-in conditioner already in it. 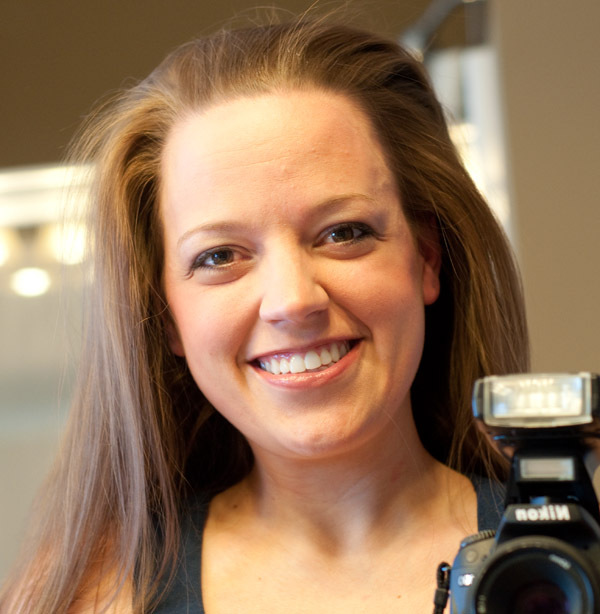 Use a volumizing mousse on your roots…I’ve been using Pantene’s Body Builder. Blow dry your hair, completely and totally upside-down. 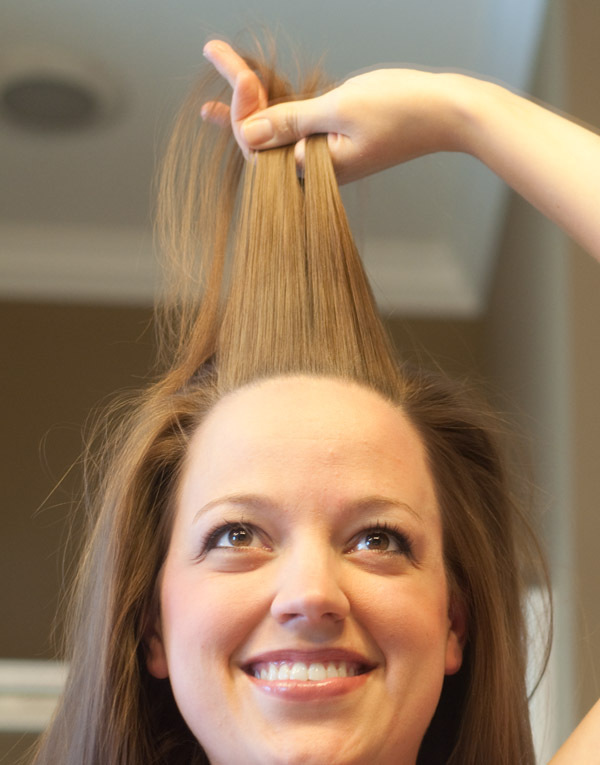 With every section, make sure the hair you are drying is facing completely straight down. I just use my fingers to make sure it doesn’t get tangled and brush it out a little bit…no real brushes though. Using a brush tends to weigh my hair down when I blow dry. Every couple of minutes, use the cool shot feature on your dryer to “lock” your hair in place and make sure you aren’t missing a wet section. You want your hair completely dry for this! This is what it looks like after…hello volume! But it needs to be tamed a little after this. Take a section that is about 1″ thick and hold it straight up. 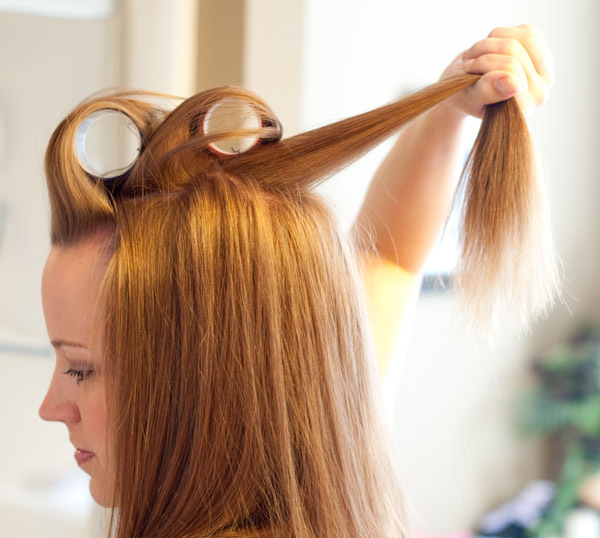 Brush it out, and use your flat iron to straighten it. I turn my straightener at a 90 degree angle as I straighten, so it curls under a little. It should look like this. This helps you put it around the velcro roller you’re about to use. 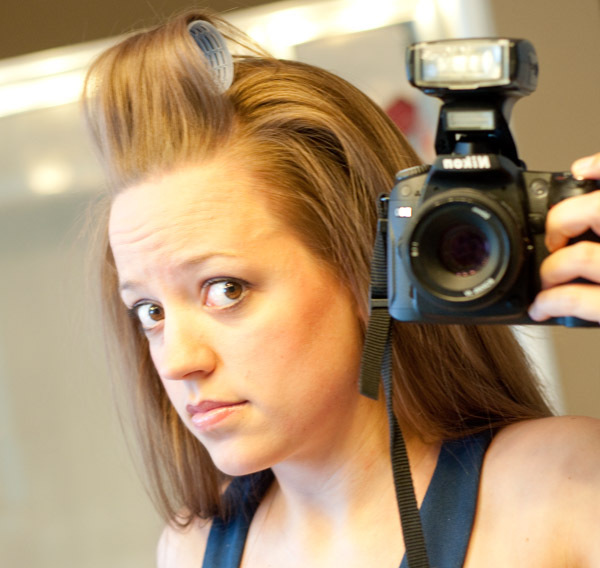 As SOON as you can after you straighten, put a velcro roller in that section. 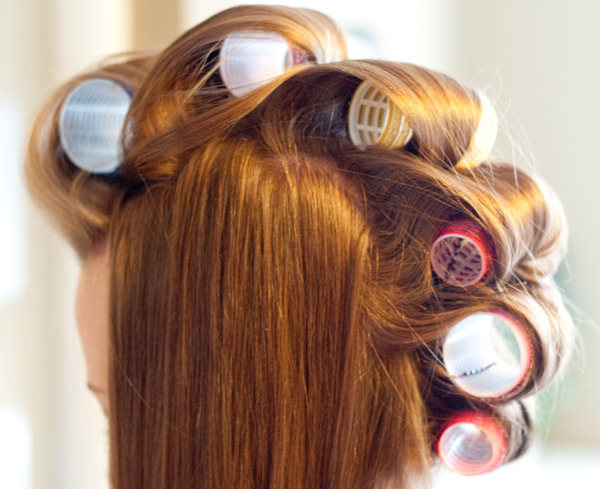 You want your hair as hot as possible when you put the roller in. Take your velcro roller and put it in like this, and secure. Alligator clips would be great, but I don’t have any…so bobby pins work just fine. You might need to smooth out creases afterwards with your flat iron if you use bobby pins though. Keep working your way down the back of your head…taking about a 1 inch section, brush, flat iron (angling the flat iron so it curls under), and putting the velcro roller in. 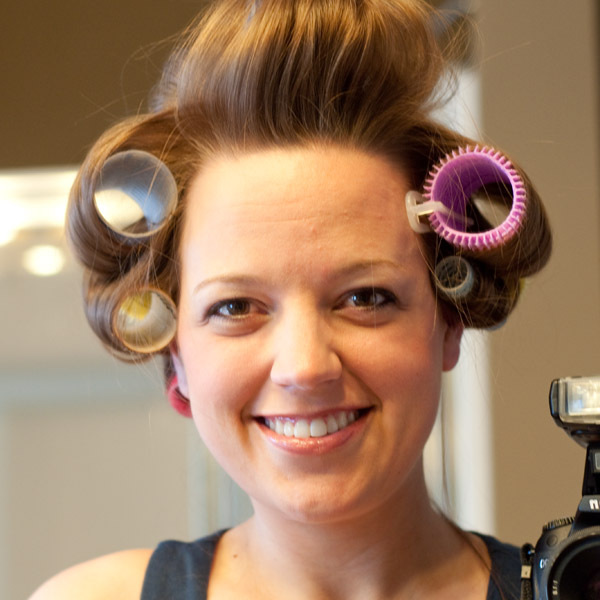 I alternate the sizes of my velcro rollers throughout, so you don’t have 1 big section of tighter/looser curls. Your head should look like this once you’ve gotten all the way to the back of your head. Think of it as a roller “mohawk.” Then, with the side sections, put the rest of your hair in the velcro rollers, holding your hair straight out to flat iron before you put each section in. Now, let it set! I usually put on my makeup while I’m waiting for my hair to set…so about 15 minutes. 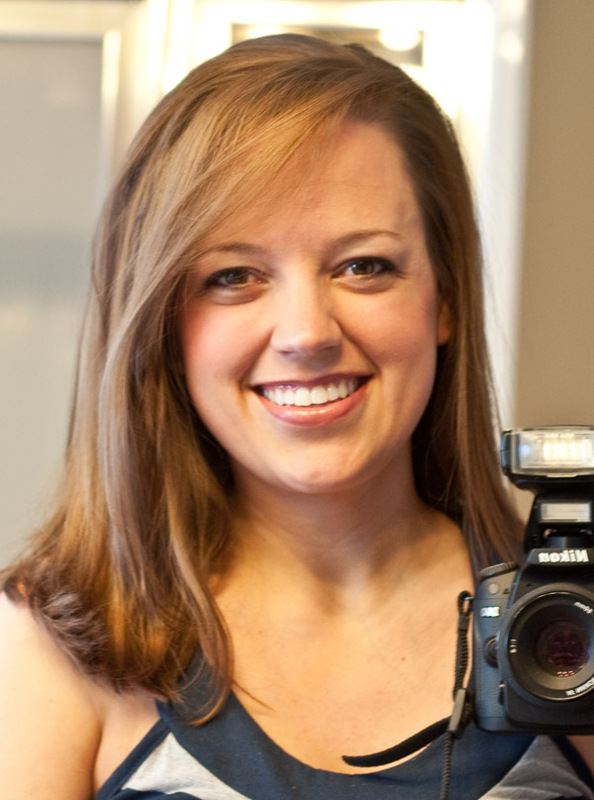 (And yes, I had to use a different roller on one side…I was out of my velcro rollers. 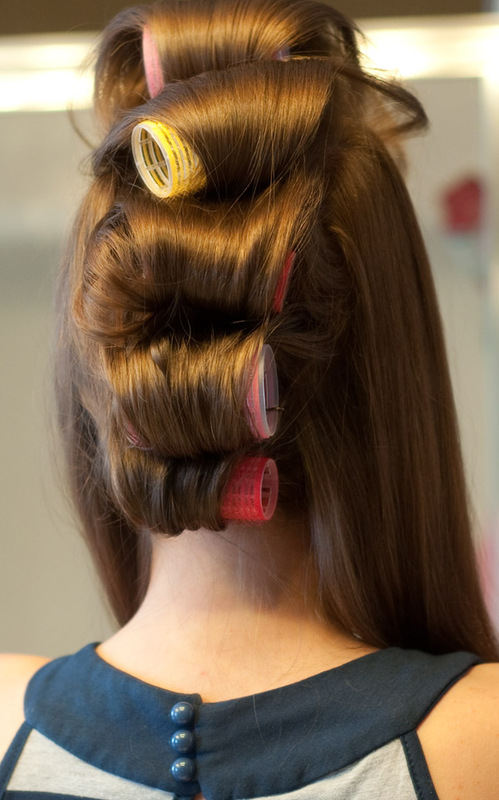 )Once you take the rollers out, flip your head over and kind of brush it out with your hands (NOT a brush). I turn it back over, part it, and tease the crown up just a little with a comb. Then, to de-crazify the teasing, flip your head back over and use your fingers to brush out. Flip back over again, part it, and use a brush (VERY gently) over just the top part of hair to just get the last few tangles of teasing out. And voila! New hair. And it’s so easy too – maybe 15 minutes worth of work. Thanks again to Misikko.com for providing the flat iron (and other goodies) for this review! This post falls under my link/review disclaimers. All opinions are my own.